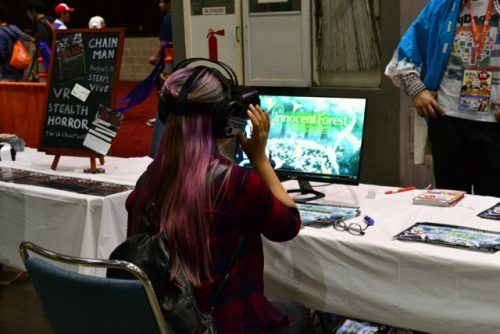 Japan Character VR Matsuri Field Report at Anime Expo 2017 - Bringing Death Note, One Piece, Puzzles and Horror to VR! 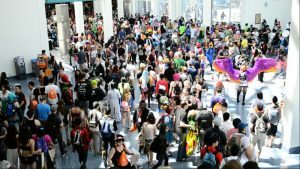 AX 2017, the biggest Anime Expo yet, brought with it some new exhibitors! And one of the new additions will probably become a staple. We’re talking about the Japan Character VR Matsuri, of course! The Japan Character VR Matsuri brought together over ten teams of Japanese VR developers, including Shueisha, for the first time to the U.S. We all know Shueisha for being the Tokyo-based publisher responsible for bringing us Shonen JUMP and, with it, mainstream titles like One Piece, Death Note, Dragon Ball, and Naruto. 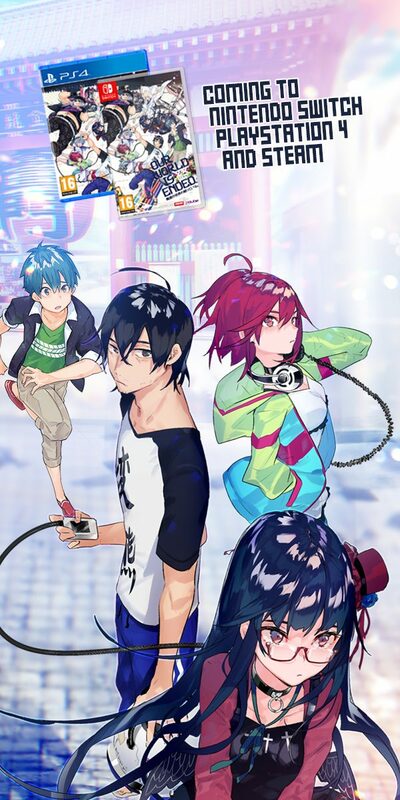 Kodansha and VR pioneer Ouka-ichi-mon joined Shueisha at the Japan Character VR Matsuri with their own titles, along with other game developers itching to break into the VR game. Much like Shueisha, Kodansha is a publisher based in Tokyo with hit titles like Ajin, Fairy Tail, Sailor Moon, and Attack on Titan. 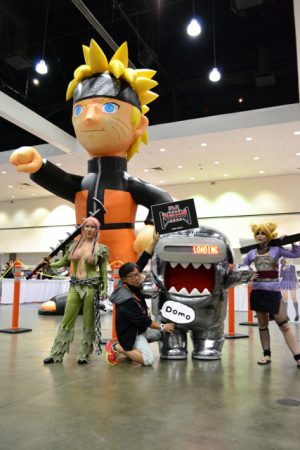 The Matsuri booth took up a good portion of the entertainment hall at AX, and was super easy to find thanks to a giant inflatable Naruto previously seen at JUMP Festa in Tokyo. 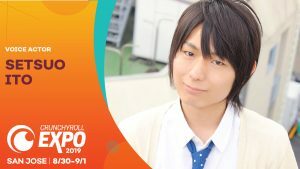 The games and experiences ranged from closely enjoying your favorite manga art and completing puzzles, to a Death Note escape game, an idol concert, and even riding a dragon! 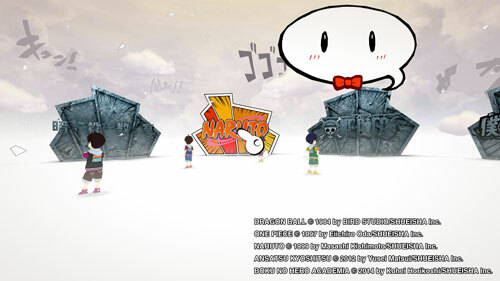 In this experience, you are thrust onto a platform that gives you different options of different One Piece scenes to explore from many different points throughout the manga’s history. Once you made your pick, you were able to grab and closely admire the beautiful colored artwork as if you were holding it in your hands! There were plenty to choose from, but time was limited since there was a line of fans waiting for the experience. Besides being able to get close and personal with Eiichiro Oda’s artwork, you can also put together a 3D Chopper puzzle by grabbing the pieces and turning them and adjusting them in order to put them together! 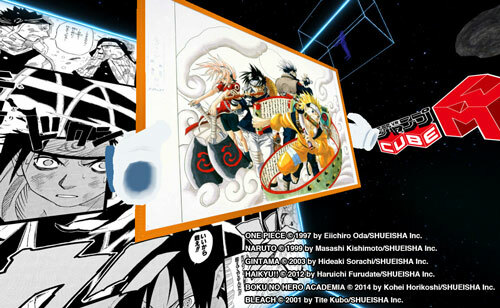 The JUMP Cube experience was very much like the One Piece Cube, except you had the option of interacting with illustrations from 5 different Shonen JUMP titles, including Bleach and Naruto. This one also included a puzzle. This time you had to put Bleach’s dirty-minded plush lion KON together. The art gallery, was just that. 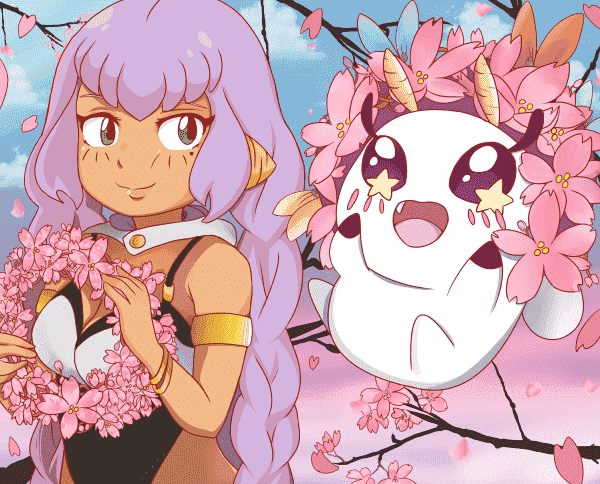 Players were immersed in an art gallery with beautiful artwork from top-rated JUMP manga titles, and unlike in a real gallery, one had the chance to get close and personal with the art! Probably one of the most popular titles in the booth, the Death Note VR Escape Game was one of the most exciting. 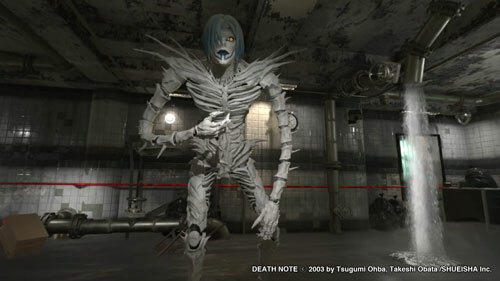 Players were in the role of Death Note’s Misa, who is trapped with Rem in a basement that is filling up with water. By looking around and interacting both with Rem and the environment, players needed to find a way out! 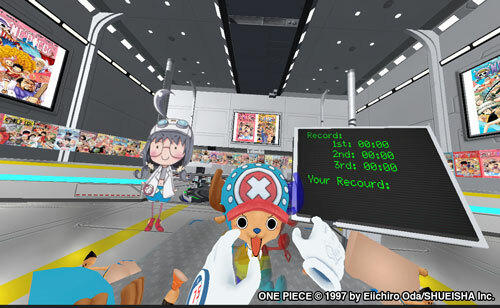 Shueisha wasn’t the only one with fun VR titles, though, some others developers brought their games as well! Kodansha didn’t fall far behind with their offering either! 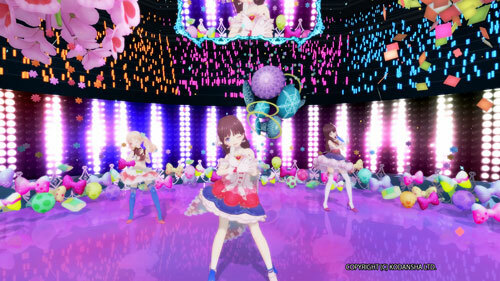 In Hop Step Sing, not only did you get to watch cute idol performances, but also dive into music videos and feel like an idol yourself! Or just like a very close spectator if that’s what you’re into. Another popular title at the booth was ChainMan. Created by Ouka-ichi-mon, this stealth horror adventure VR game, ChainMan, has made them one of the leading developers in Virtual Reality experiences. In ChainMan, you were thrust into a dark world where you must escape from and evade zombies. Based on messages and clues, you must find your way out, without getting caught by the zombies of course! Not for the faint of heart! 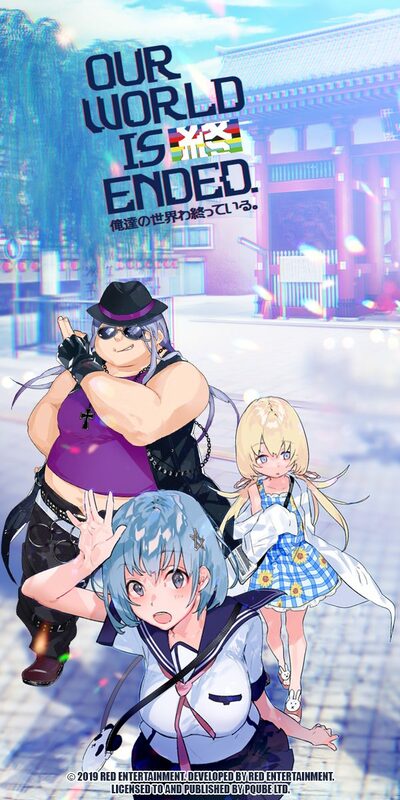 Another idol VR game was Cosplay Cast by COVER Corp. In this one, you get to be the idol! You can come up with your own show and performances and even have your own idol interviews. FullDive novel by MyDearest Inc. is exactly what it sounds like, you are fully immersed into a light novel. The light novel in the demo was Innocent Forest, which is about a forest where people’s memories turn into birds and fly away from the cages in people’s hearts. You get to experience this first-hand when you meet a girl in just that situation. This was another big hit at the VR booth. Pairing the Oculus with a moving saddle, Circle Hydrangea’s work in progress put you smack in the middle of a dragon war. With the player riding on the back of a dragon, one can shoot fireballs at incoming attacks from enemy dragons. The addition of fans in front of the game station made the feeling of flying on a dragon’s back all the more realistic! This one seems like it would be perfect for an arcade VR experience. ship of EYLN + MiCROViSiON Inc brought their A game as well, with their prototype version of Medusa and Man. 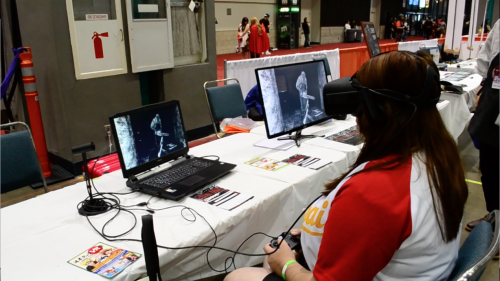 A VR game with local multiplayer capabilities, you can play as both Medusa and the Man. However, Medusa’s stone gaze will affect her partner as well, so you have to be careful not to get him turned into stone. It’s challenging and fun, and it was only the prototype, so it shows much promise. 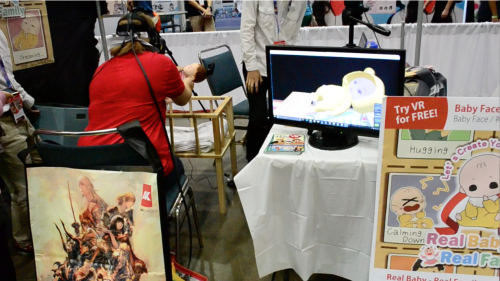 Besides the VR Manga Creator, KAIT Shirai Lab also brought one of the oddest VR experiences to the floor with Real Baby - Real Family. In this game, you can create your own “realistic” baby from a photo and then use the VR gear to hold it and care for it in the VR nursery. Designed to give people the experience of holding and caring for a baby, the AI is programed to react like a real baby would. This one was interesting, to say the least. 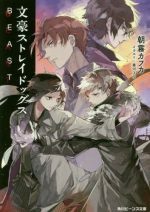 A collaboration between KAIT Shirai Lab and Progmind Inc. with the support of Shueisha, the Manga Generator is less of a VR title than the rest. However, it still managed to immerse the players into their favorite manga. Literally! 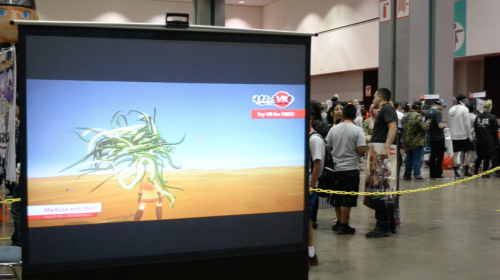 With the use of the Kinect system, players could choose their favorite manga scene from the available choices and become a part of it. And you could even have it printed out for posterity! 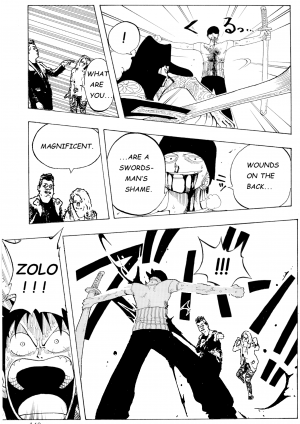 We could go into detail here, but a picture is worth a thousand words, so take a look at the Honey’s team in a showdown with Zoro from One Piece! 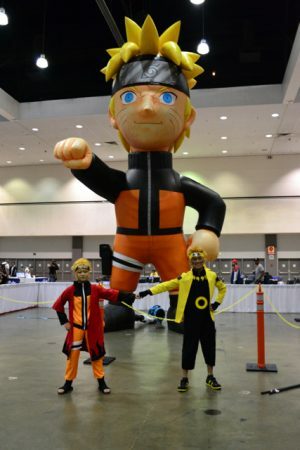 Honey’s: This being your first time being at Anime Expo, how are you perceiving it and how do you feel about the presence of everyone being here? 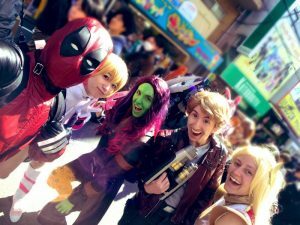 Takeda-san: I see lots of cosplayers and I see a real love for Japanese animation here in this place. 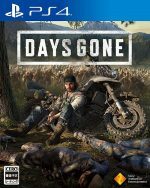 Honey’s: As far as VR, what plans do you have that go beyond what we’re seeing now? Takeda-san: This is all just a mock-up right now, just testing and for everyone to enjoy for free. But, I hope within a year that we will have more items that people can possibly download or purchase that they can actually enjoy as part of the entertainment. 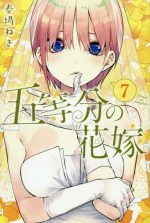 Honey’s: And with manga, will you be able to flip through pages in the future as if a book and read and enjoy it as if you had it in your hand? Takeda-san: Not in the future because we actually have a prototype already done and it’s coming up very soon! Honey’s: Is there any way you could disclose how soon? There you have it. 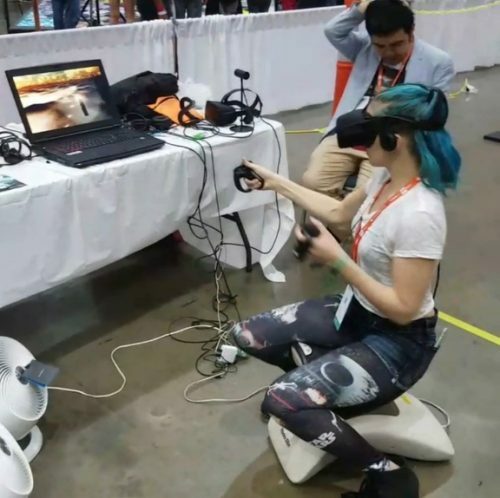 As this writer has said in a previous article, VR may not be the future of gaming, but it certainly has opened the door to and made available a plethora of brand new experiences. 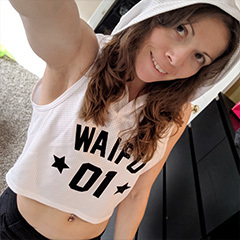 While it won’t replace regular gaming, it does give people the chance to go into worlds they’ve always dreamed of accessing, like their favorite manga, light novels, and anime scenarios, among others. 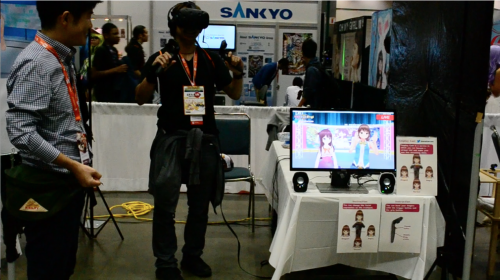 As mentioned before, this was the first time the Japan Character VR Matsuri takes place at Anime Expo, and all of the demos mentioned were in their early stages and/or prototypes. And yet, they were already extremely fun and interesting! We can’t wait to see what the final products will be like and what the future holds for all of these titles and their successors! 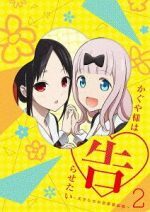 And according to Takeda-san, we’ll be able to interact with JUMP manga within a year! 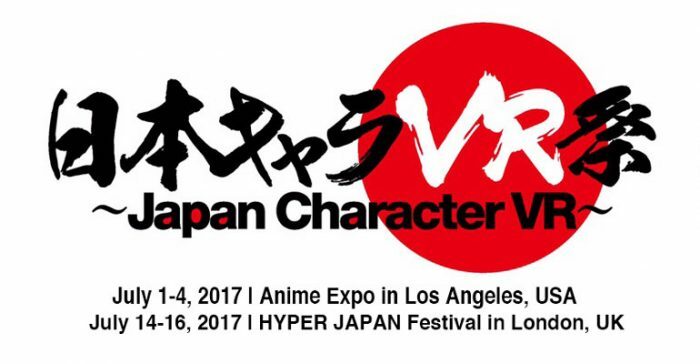 Did you get a chance to experience the Japan Character VR Matsuri booth at AX 2017? What did you think? Which was your favorite experience? Let us know in the comments below!